The Way, a circuit around Calderdale, was pioneered by local civic trusts and groups who came together under the umbrella of the Calderdale Way Association. The main and link routes to the valley bottom are designed so that they can be completed in short stages. The walk encircles Halifax, Hebden Bridge and Todmorden, following old packhorse ways across the open gritstone hillsides with sections of traditional stone causeway, passing through hillside villages and old mill towns on the banks of the River Calder. There are numerous link paths which connect the Calderdale Way to the valley floor. 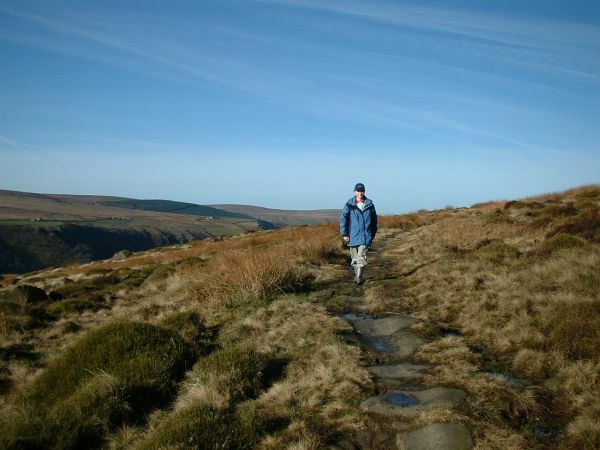 There are medieval settlements at Lumbutts and Mankinholes, and Withens Gate, where the Pennine Way crosses. A short diversion along the Pennine Way takes in the popular walk to the 100ft monument, Stoodley Pike.